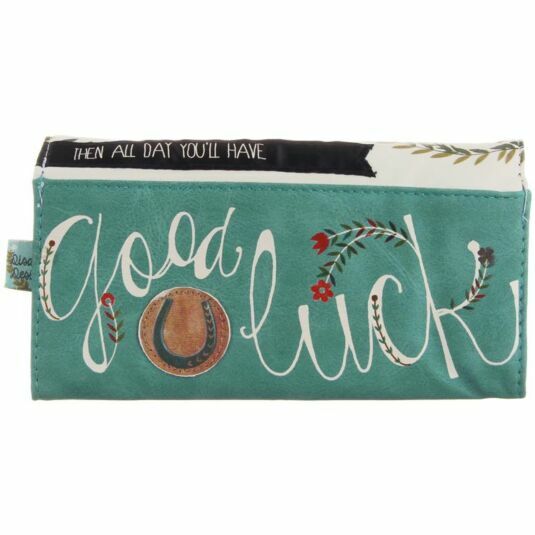 A Wallet from the In A Nutshell range. 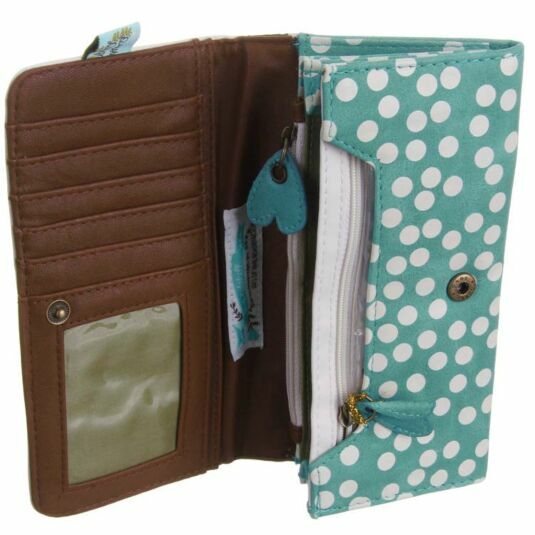 Practical and stylish, this In A Nutshell wallet from Disaster Designs is a must have for anyone. 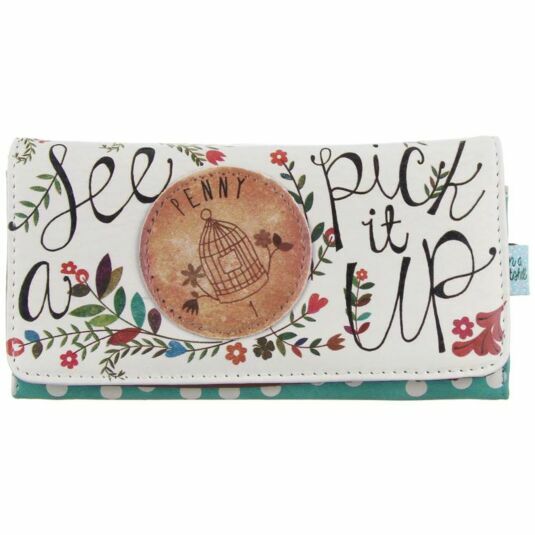 The wallet features two zipped compartments for storing coins, five pockets for cards, as well as five large pockets for any notes, tickets, receipts or other bits and bobs. It closes with a popper button, ensuring its contents remain safe and sound inside. 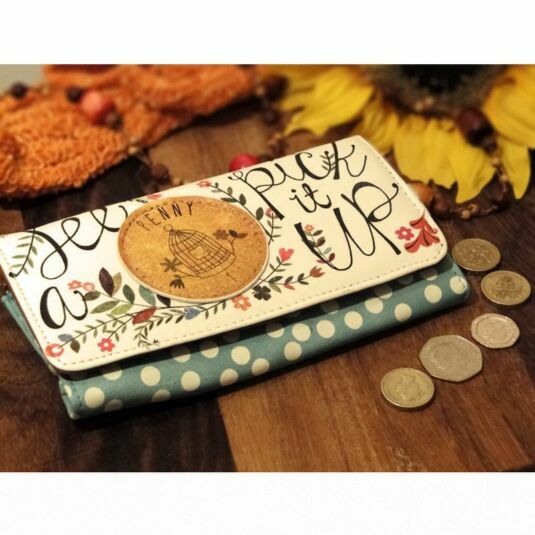 The design features artistic flowers and a stitched on penny with a birdcage illustration. 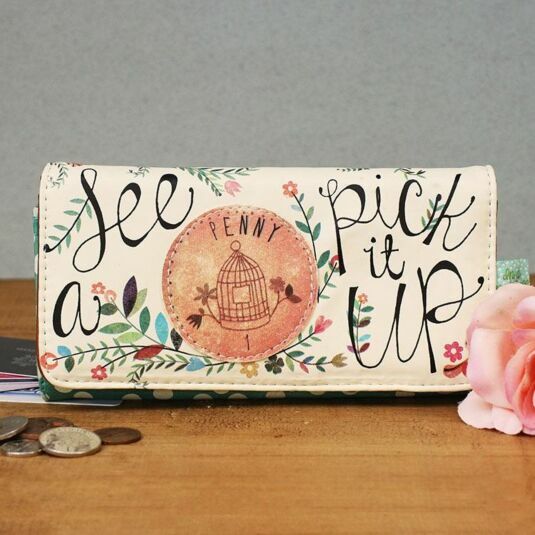 The penny features as part of the saying, which reads: "See a penny, pick it up", which is continued on the reverse of the wallet with "then all day you'll have good luck". 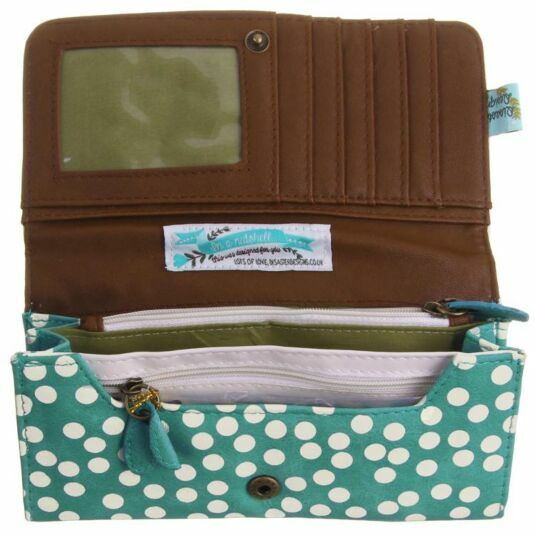 Once the wallet is opened, the interior is a mixture of chocolate brown and a cream polka dot pattern on a sea green background. The lining of the zipped pockets is olive green. 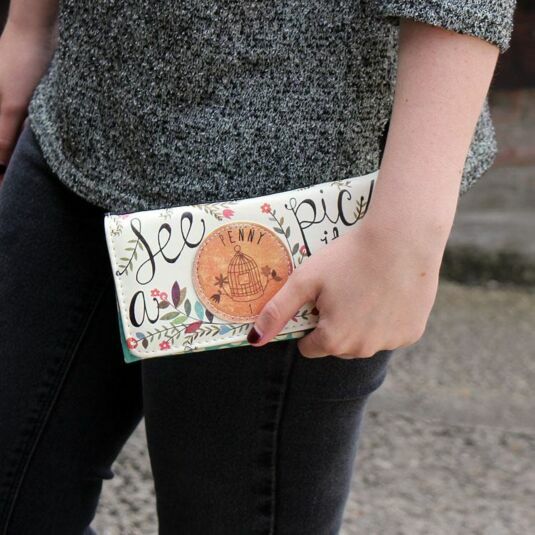 The wallet makes a wonderful present to anyone with a love of fashion and style, with a broad appeal across all ages, from teens to mums to grandmothers. This nature themed range of bags and accessories by Disaster Designs complements every wardrobe. The main colours are muted turquoise and chestnut brown, with details in a woody palette of mixed pinks, oranges and aubergine offset by cooler blues and greens. The imagery is of birds, flowers and sea life, featuring birds and foliage. This range suits every season and will work with summer dresses, autumn tweeds and winter woollies.